I see this all of the time: people misuse the words aw and awe. Can you please tell people what these words mean, what part of speech they are, and when each one should be used? It would be my pleasure to discuss this! Let’s start with aw (sometimes spelled aww). Aw is an interjection that is used for a couple of reasons. Sometimes it indicates disappointment or pity, such as “Aw, I’m so sorry that you didn’t get a cookie.” Other times, it indicates that someone thinks something is cute or adorable. 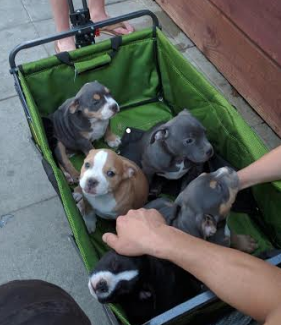 For example, “Aw, that is the cutest wagon full of puppies I’ve ever seen!” Surprisingly, this interjection has been around since 1797. · She looked at the playroom in awe; thousands of Legos were covering the floor, except where the children were kneeling. · The altar of gold and sapphires was created with awe-inspiring craftsmanship, but it was also blinding.